يشكل فندق Forte Cape View بموقعه الممتاز في منطقة شواطئ, سياحة, برامج عائلية ضمن مدينة مارجريت ريفر واين ريجيون، مكاناً ملائماً لقضاء العطلة بعيداً عن عجقة أيام العمل. يحظى هذا الفندق ذو 4 نجمات بمكان ممتاز يسمح بالوصول إلى المعالم السياحية الأكبر في المدينة، فهو يبعد مسافة 7.8km عن صخب المدينة. بالنسبة لمن يريد الخروج، هذه بعض المعالم السياحية المتوفرة للزوار نهر بوايانياب, مرسى باسيلتون. 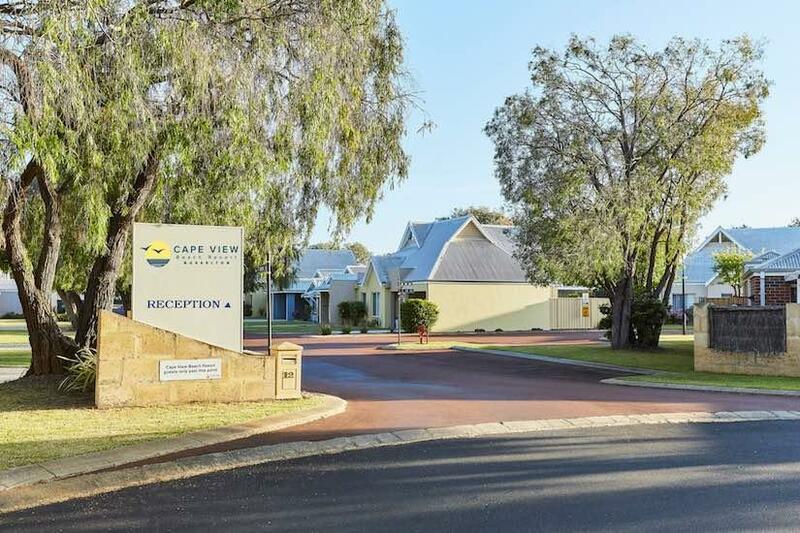 إن الخدمات الممتازة وحسن الضيافة العالي في Forte Cape View تجعل إقامتك تجربة لا تنسى. تتضمن الميزات الرئيسية في هذا الفندق: مرافق مخصصة لذوي الاحتياجات الخاصة, تخزين الأمتعة, واي فاي في المناطق العامة, صف السيارات, غرفة عائلية. بالإضافة لهذا,تتضمن كل غرف الضيوف مجموعة واسعة من وسائل الراحة . بعض الغرف توفر حتى تلفزيون بشاشة مسطحة, اتصال لاسلكي بالإنترنت, حوض الاسترخاء, غرف لغير المدخنين, مكيف هواء لإرضاء أكثر الضيوف تطلباً. صممت خدمات الاستجمام في الفندق والتي تتضمن حوض استحمام ساخن, مركز للياقة البدنية, ساونا, حمام سباحة خارجي, حمام سباحة داخلي لمساعدتك على الاسترخاء والراحة. استمتع بخدمات لا يعلى عليها وعنوان ذو اعتبار في Forte Cape View . Nice location right next to the beach. Got a unit with an excellent sea view. The sunset was beautiful at the beach! Very nice clean apartment with good facilities. There's a very nice childrens' playground as well as a nice pool. Would have appreciated if we were told about the extra AUD 25 charge for the porta cot and high chair at the outset rather than at checkin. Very nice bungalows! We booked 2 2BR and 1 3BR on an extended family trip and it was great. Only downside was that in the 2 BRs one of the bedrooms did not have an air conditioning unit and the window was locked so we couldn’t open it for fresh air and the air in that room was really really stale. Other than that, facilities were great and close by to a beach. This is a very clean and nice scenery, fully equipment in the kitchen, but there is some kitchen suppliers not in good condition, some was leaf in the dishwasher already rusty, the coating of pot were off. 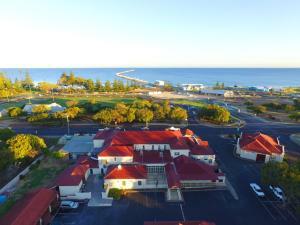 Great place to go for a short or long break with excellent access to all attractions in the area. The Beach is very near.. very spacious room.. The cost $25 to push 2 single beds together to accommodate my disabled Son was very very disappointing we have stayed nearly everywhere around Duns and Buss first time we have been charged this penny pinching charge come on where is your customer service. ?? Quiet, spacious and clean apartment. Close enough to Busselton. It's a great place and just a 5-min walk to the beach. We had a run there and it was awesome. Not sure if this is the norm, but there was no housekeeping services throughout the 2 nights we stayed there. Also, the concrete floor seems a little sticky and I guess it cant be helped that there were lots of flies at the porch area during the night due to the location. What I cant really like is that the common bath and toilet are full of flies at night too. Yes, and even in the bath tub! Great cooking facilities, clean apartment. Curtains don't block out light in bedrooms so bring an eye mask. Short walk to the beach. Everything is functional in the apartment that we were given. Comfy bed, air-cond/heater in every room. clean bathrooms. We had a comfortable stay here. It was a good place for 2 nights stay. Will definitely come back here again. Only one aircon/heater in living room, none in bedrooms. This single heating unit (room 11) is not working well, sometimes blowing out cold air when in heating mode. So the whole unit was cold and uncomfortable. Bed linen was able to protect us from cold while sleeping. Lovely apartments, very spacious, clean and private. Far enough away to be out of the noise but still an easy drive to Busselton Jetty. 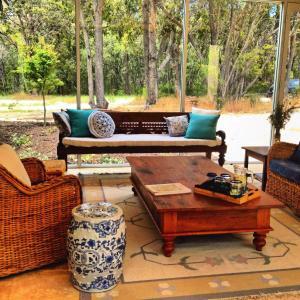 Superb location, close to Busselton and Dunsborough. Apartments are nicely furnished and spacious. Pool area is really nice and pool is a good size. A very enjoyable week. A well maintaimed resort. Great size pool. Good sozed rooms. Lovely calm beach. The apartment we had was brilliant. Pool on one side, beach on the other, less than a minute walk to each.